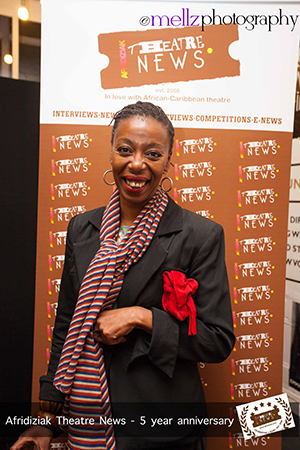 In her first seven years of life Noma Dumezweni saw more countries than your average air hostess. 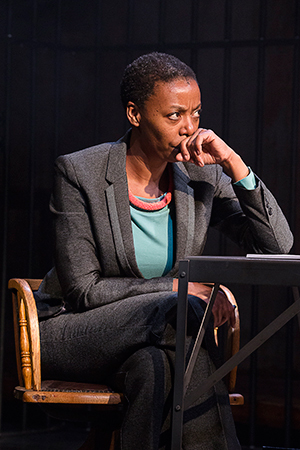 Her family’s rather nomadic beginnings led them to exotic Ipswich; which Dumezweni says is an experience she is grateful for. Having recently returned from a South African tour of A Human Being Died that Night, the actress is excited to bring the new play to London. 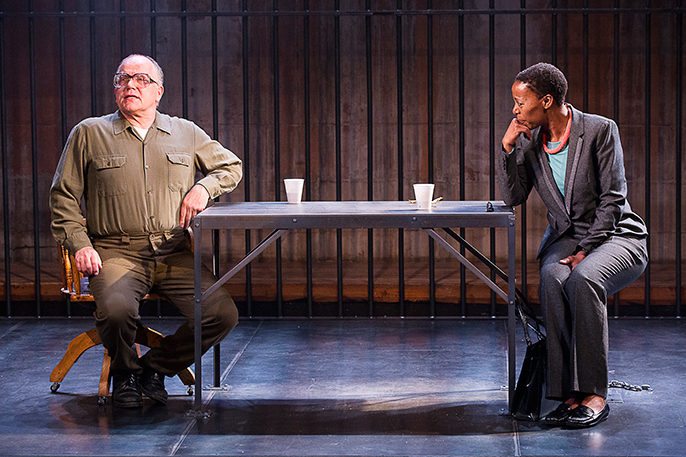 Set in South Africa in 1997 the play is based upon Professor Pumla Gobodo-Madikizela’s autobiographical account of interviewing famed assassin Eugene de Kock. Articulate and heartfelt, the Olivier Award winning actress expresses her huge admiration for the professor and for the worldwide significance of the story being told. 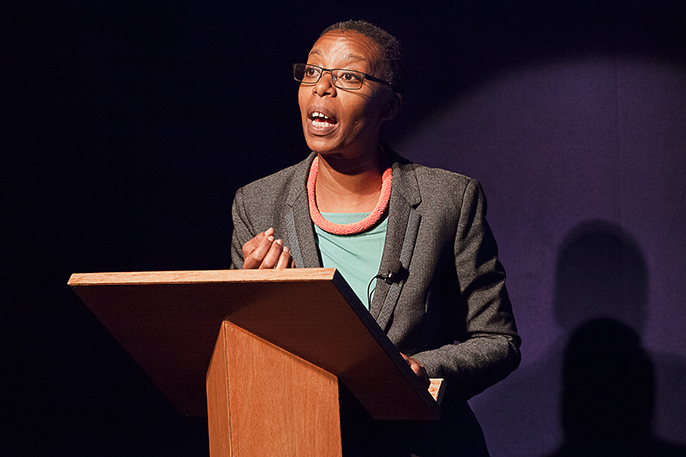 How did you find portraying Pumla Gobodo-Madikizela, in a play based on events from her own life? I am honoured and blessed to be playing Professor Pumla Gobodo-Madikizela. She’s an extraordinary woman and I had the amazing pleasure of being able to meet her, I’ve recently come back from South Africa with the play; I spent four weeks in Cape Town and three weeks in Johannesburg. She came on the penultimate night in Cape Town, It must be nerve-wracking and I asked her ‘Were you nervous?’ and she said ‘Yes I was.’ Because it’s someone else’s interpretation of her book which was her own experience. It’s three removed; she wrote the book, Nicholas Wright wrote the play and I’m playing her on the stage. Her intellect is amazing, her humanity is profound. If you described yourself as a line, I’m a squiggly messy line whereas she’s absolutely straight. As an actor you kind of have to be squiggly to be able to put yourself into these kind of characters. But the bottom line is she was happy. A Human Being Died that Night is a great story and we all love stories. I’m gonna try and blow my horn; I think Matthew and I as actors are doing great work together and if you’re not interested in the story but want to see some really in the moment work come along and see that. Did she feel you’d gotten it close to her own experience? What was interesting is she understood that it’s dramatized moments. They’re verbatim, taken from her interviews, but dramatized. She was proud and what was lovely was she came to see it three more times in Johannesburg and brought her family along. But it was also more about getting her story out about her meetings with Eugene de Kock. She was on the Truth and Reconciliation Commission and her big tenet is about ‘How do we forgive? How do we empathise with people?’ It’s easier to understand the word empathy than the word forgiveness, that’s how clever she is. This word empathy is closer to how we all are. If I can understand your story I’m more likely to listen and do something about it. In the Professor’s position, do you feel you could forgive someone like Eugene de Kock? He did some appalling, appalling things. In one moment, when she was in the Truth and Reconciliation Commission she watched him ask to meet the widows of three policemen he had helped kill, to ask for their forgiveness. In that moment she began to wonder who this person was and it was arranged for her to interview him. It was meant to be one meeting but it ended up being forty hours of interviews over six months. The professor says he should be forgiven, he should be released and I agree. He has done some terrible things in the name of the government and the country he was serving. As Matthew Marsh my wonderful co-actor has said, this story is so pertinent because it could happen across so many countries in the world and it has, in Rwanda, Cambodia and so on. The realisation that this story is worldwide makes it such an honour to be able to do. How did you research playing a real person? I wish I was young and brave enough to have brought shares in YouTube; it’s genius. I was able to watch Pumla giving speeches and talking to people and there’s a brilliant film called Long Night’s Journey into Day and there’s a footage of Pumla speaking about that. Ultimately it’s a play and I have to make sure I’m honouring the writing and my own truth from moment to moment, because if I don’t feel it in my little finger then something’s not quite right. There was a great book called Country of my Skull by Antije Krog's which was a really vibrant way of getting into it via the written word. The emotions were amazing. Also the conversations between Matthew and I and Jonathan Munby the director and Nicholas, have all been feeding into the source of what we’ve created. Pumla’s a black South African woman, do you feel that her gender has any significance in how you interpret your role? I think it can’t not to be honest. Experience always falls into gender and it falls into colour and you bring that to the rehearsal room. Pumla is a black female; she’s a psychologist, she’s a teacher, she’s an academic. That is not my experience at all! (Laughs.) I’m in awe of that and for me as an actor I wanted to try and reach what that could be, so to finally meet her I was able to think ‘Thank God. I’ve done my job well.’ I remember there was a talk I attended in South Africa and someone was saying that within the context of South Africa that Pumla is a victim of circumstance and I just thought ‘No, no, no. Don’t put her in a victim role.’ She’s had a hard life but that is not a victim. I’m here right now speaking to you because of her; she had that experience and wrote her book which Nicholas decided to turn into a play. Am I right in thinking you’re originally from Swaziland? (Laughs.) I’ve gotta sort this out actually, my heritage is South African. I was born in Swaziland but my parents are South African, they left in search of exile under apartheid and they went to Swaziland where I was born. My sister was born in Botswana, then we lived in Kenya and Uganda. Then at the age of seven just before my birthday we moved to Ipswich. So it was extraordinary going back to South Africa. I can remember a little of before I was seven; it’s mainly sensory, things like colours and smells. But coming to Suffolk the weather changes, the way people look changes and you are other. That didn’t hit me until my teens really, when you’re searching for what your identity is. I can only say this now; I’m grateful for that experience. Going through it was horrible, it was absolutely an internal thing of trying to find your way in the world. Going back to South Africa recently, a tiny thing like seeing my body shape everywhere was extraordinary. I’m 44 and thought ‘Thank God for that!’ I bought my daughter who’s seven, so there were lots of resonances there and my mum who had never been to Cape Town. It was just gorgeous. Having recently visited South Africa, what’s your opinion of the country after two decades of democracy? Well it was really interesting being an outsider whose history is from there. It’s beautiful, the people are beautiful, the politics are a mess. Twenty years of democracy is embryonic, my observation is it will be one to two generations before true, in the blood change happens. Professor Pumla made a really interesting point during a talk about president Zuma. She said ‘We’ve got to be careful of Zuma because he’s using the same language that the oppressors used.’ He’s also infantilising the black people he’s supposed to be leading when they are protesting for basic services. He’s comparing them to children knocking at their parents door and that’s your leader speaking. What was fascinating was speaking to taxi drivers, and they say people are angry because corruption is corruption and they don’t want to be a cliché in the eyes of the rest of the world. I’ve just been involved in the South African Readings at the Royal Court, and six young South African writers have come over and had their plays put on. That was a really visual reminder for me of the amazing energy and articulacy of these young people. Their stories are so individual but their politics are so deep rooted in what they’ve grown up in. Why should people come and see A Human Being Died that Night? It’s a great story and we all love stories. I’m gonna try and blow my horn; I think Matthew and I as actors are doing great work together and if you’re not interested in the story but want to see some really in the moment work come along and see that. If we’ve done our job well, you will talk about this, I know that having met people after the show. That for me is what great storytelling is, it stays with you.